Ivory in colour, shaker in style. 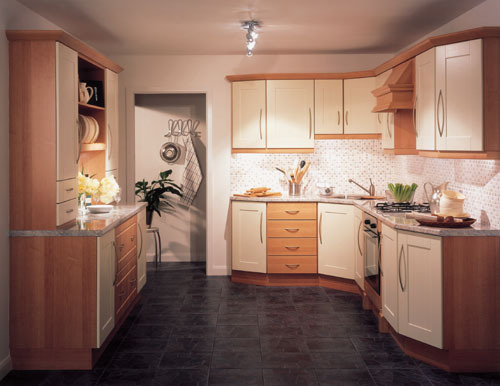 This vinyl door is designed for use on a colour co-ordinated ivory carcase or as displayed here in a mix and match situation with fox maple cabinets and drawer packs. Just another example of how our kitchens can be adapted to meet your needs, the only limit is your imaginatrion.